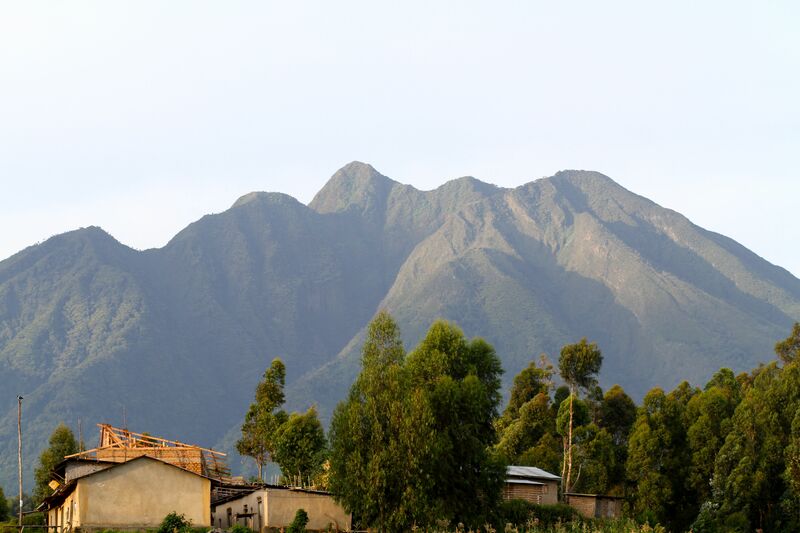 Kisoro, Uganda is 10km from both the Congo and Rwandan borders. 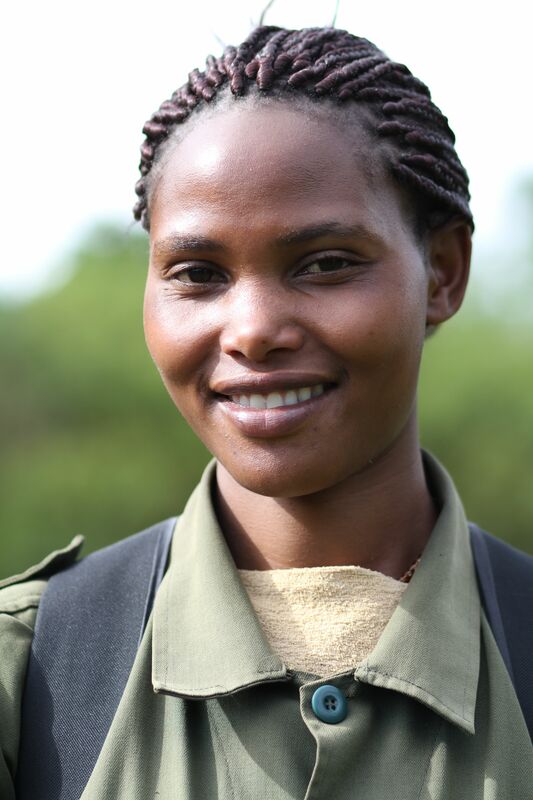 The 10hr drive from the capital Kampala weaves through banana farms and past cattle with metre-long horns. volcano Mt Sabyinyo (3,669m)... the name means "old man's tooth" in Englishmeter long horns. For the final hour of the drive the bumps and hairpin bends even started to make my cast iron stomach churn. Local residents told me that if I make good my promise of returning in a couple of years, the road should be much better… I hope so! At the foot of the Virunga volcanoes, nights are cool in Kisoro (it’s just over 1,800m) so on arrival I settled in front of the fire the Travellers Rest, the main tourist hotel in town, with a large gin and tonic. Managed by Dutchman Jan, the Travellers Rest has to be the best small town hotel I’ve stayed at in Africa so far. 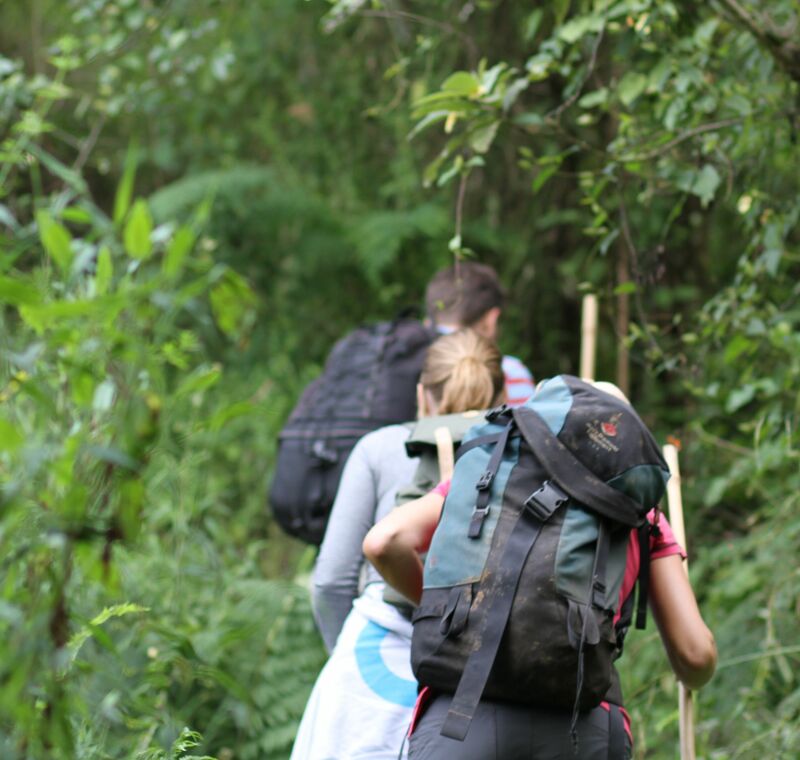 The staff are attentive without being overbearing, the food is delicious and varied (and they make a special effort to cater for vegetarians), and there’s plenty of solar hot water to make you feel clean after a day climbing in the surrounding volcanoes. 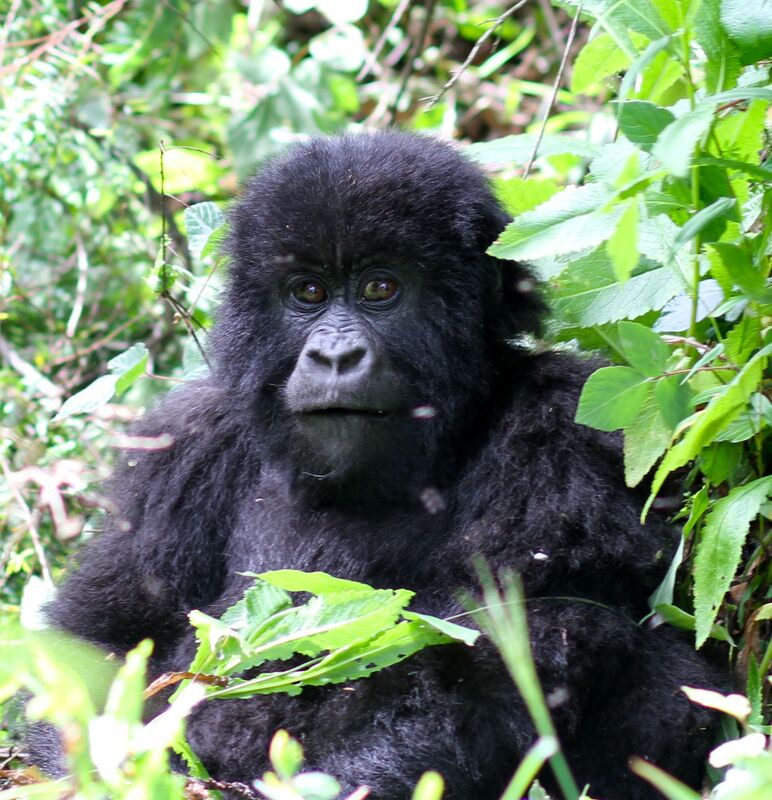 Most visitors to Kisoro come to see the mountain gorillas, and my fellow Travellers Rest guests were no different. Over dinner Jan took great pleasure in telling me about a group of tourists the week before had left the hotel at 6am and didn’t return till 1am. Wet, exhausted and relieved to be back, it was a hot shower rather than the joy of spending an hour with these highly endangered primates that was top of mind of fellow Travellers Rest guests. After almost 2 weeks of climbing mountains my legs weren’t super excited about the thought of a potentially 19hr hike! Lucky for me I was tracking the oldest, habituated family who live in Mgahinga Gorilla National Park about an hour drive from town through corn and potato fields on what might just be the worlds roughest, defined road. 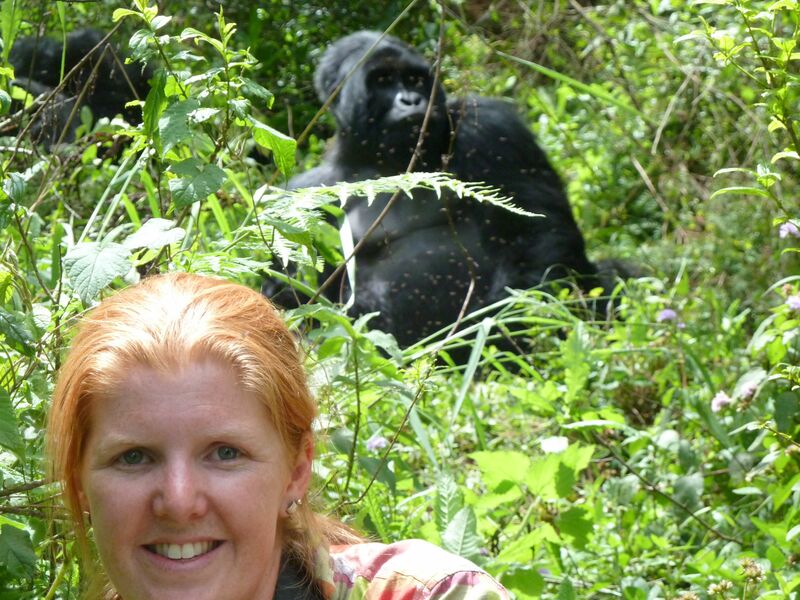 I’d come to Uganda thinking I was going gorilla trekking. In our briefing at the wildlife service office, guide Uallan told our group of four that it was indeed gorilla tracking… there’s no knowing where the gorillas are each day. Dutch mother of two for just over an hour and a half along buffalo trails and through thick rainforest undergrowth till we found them. Much shorter than the 19hrs I’d been expecting and all four tourist trackers were over the moon! 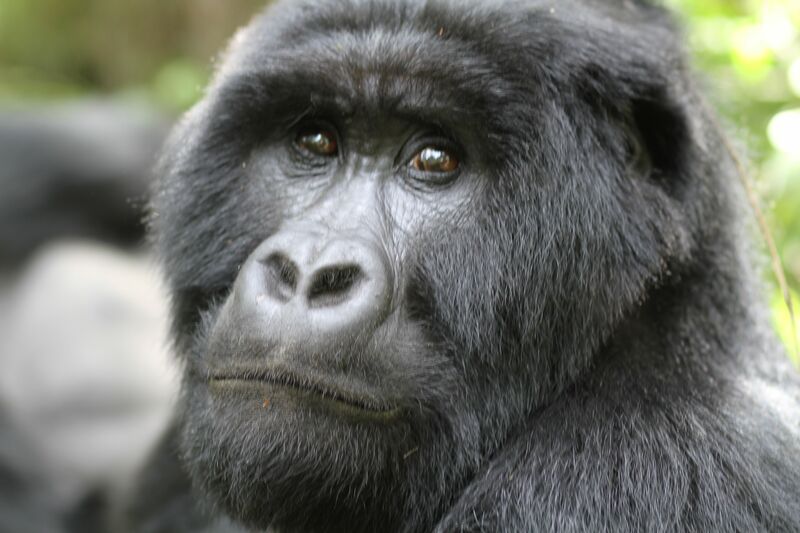 The Myakagezi Gorilla Group has 3 silverback males, 2 adult females, 2 black back males and 2 infants (1 male/1 female). We saw all but one of the silverbacks (Bigingo). The guides know each gorilla intimately having spent 3 months observing them from 7am to 5pm before they can even become a tourist guide. Allem loves her job and I can understand why… I’d happily spend 90-days with these amazing creatures and getting to know them. Clearly comfortable in our company black back Rukundo even pulled the vines shielding him from my camera lens away so I could get better photos. The infants (who haven’t been named) were having fun spinning in circles and falling over dizzy or climbing over their dad Mark, the largest of the silverbacks at just over 200kg. Yep, I really was there!!! Time with the gorillas is restricted and the hour I spent there was one of the fastest hours I’ve ever experienced. After hacking our way out of the undergrowth and back onto a buffalo trail where we could see the ground the adrenalin started to abate and I could think about what I’d just seen… even now, 2 days later I’m still pinching myself to check that it was real. Back at Travellers Rest, everyone was talking about spending time with the gorillas being a “once in a lifetime opportunity” but it’s definitely an experience I’d be happy to have time and time again. This entry was posted in Uncategorized and tagged Africa, environment, gorilla tracking, hiking, hiking boots, journalism, Kisoro, Mgahinga Gorilla National Park, mountain gorillas, photography, Travel, Uganda. Bookmark the permalink.